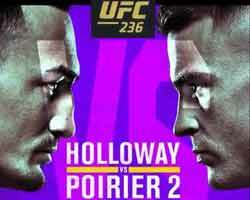 Review: 2013-06-23, fight not particularly exciting between Andy Souwer and Kota Okazawa: it gets two stars. Andy Souwer ranked as the No.7 super welterweight in the world, entered the fight with a record of 147-14-1 while Kota Okazawa had a record of 9-6-0 (11-8-5 in mma). Souwer vs Okazawa is the main event of “SHOOT BOXING 2013 act.3: Shoot Boxing vs Pancrase”. Watch the video! Review: 2012-11-17, two of the best fighters in the world do not always produce a good fight: Andy Souwer vs Kem Sitsongpeenong gets two stars. Andy Souwer (145-12-1) entered as the No.6 super welterweight in the world while Kem Sitsongpeenong (115-21-3) entered as the No.20 welterweight. Souwer vs Kem is the quarterfinal of Shootboxing S-Cup Final 2012. Watch the video! Review: 2012-11-17, even with two knockdowns the fight between Satoru Suzuki and Henri van Opstal has not been particularly exciting: two stars. Suzuki vs van Opstal is the semifinal of Shootboxing S-Cup Final 2012; in the quarterfinals Henri van Opstal defeated Bovy Sor Udomson while in the reserve fight Satoru Suzuki defeated Akihiro Gono. Watch the video! Review: 2012-11-17, good pace and good finish between Andy Souwer and Hiroki Shishido: three stars. Andy Souwer ranked as the No.6 super welterweight in the world, entered the fight with a record of 146-12-1 while Hiroki Shishido had a record of 50-17-0. Souwer vs Shishido 3 is the semifinal of Shootboxing S-Cup Final 2012; in the quarterfinals Andy Souwer defeated Kem Sitsongpeenong while Hiroki Shishido defeated Gesias Cavalcante. Watch the video! Review: 2012-11-17 , Andy Souwer vs Henri van Opstal looks more like a friendly match rather than a final of a tournament, probably because both belong to the same “Team Souwer”: two stars. Andy Souwer ranked as the No.6 super welterweight in the world, entered the fight with a record of 147-12-1. Souwer vs van Opstal is the final of Shootboxing S-Cup Final 2012; in the semifinals Andy Souwer defeated Hiroki Shishido while Henri van Opstal defeated Satoru Suzuki. Watch the video! Review: 2012-04-13, nice and tough fight between Andy Souwer and Satoru Suzuki: three stars (fight ended by TKO in the second round). Andy Souwer ranked as the No.10 super welterweight in the world, entered the fight with a record of 141-12-1. Souwer vs Suzuki is the main event of “Shootboxing – Road to S.Cup act.2”. Watch the video!